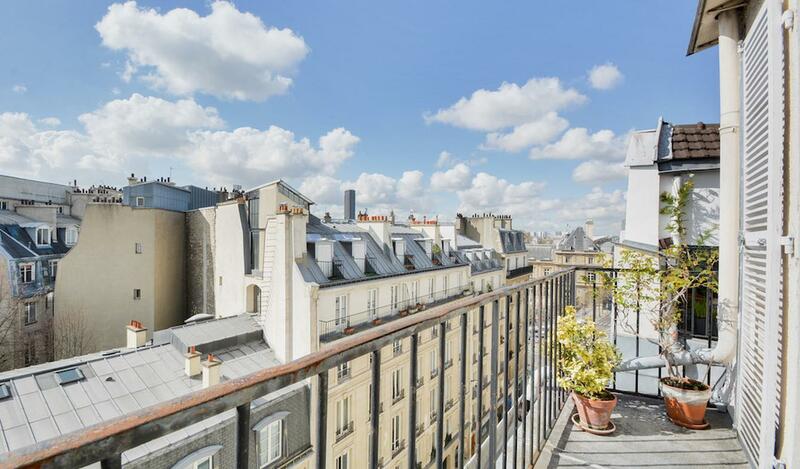 Amazing top floor in the heart of the "Quartier Latin", next to the Odeon Theater, and the Luxembourg Garden. This charming apartment is composed of an american kitchen, a dining room, a living room with a chimney and a balcony, and water-closet. 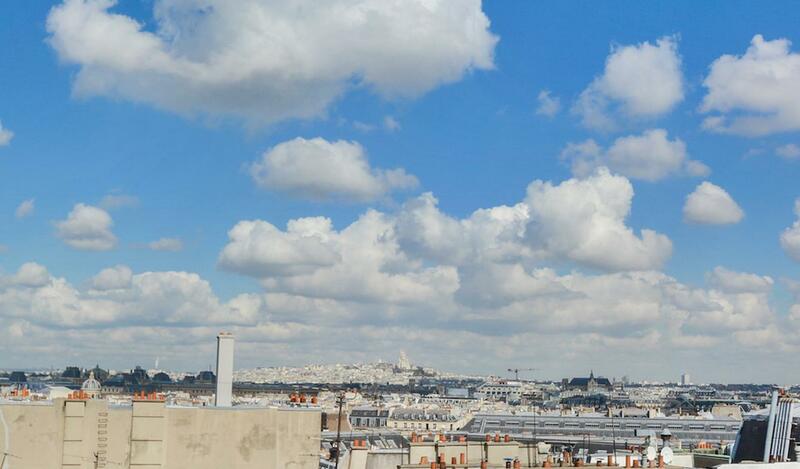 Upstairs, windows offer a splendid view of Paris from the Bedroom. A bathroom with WC, office corner and storage compose this level. Bright and sunny, well designed, and pretty.